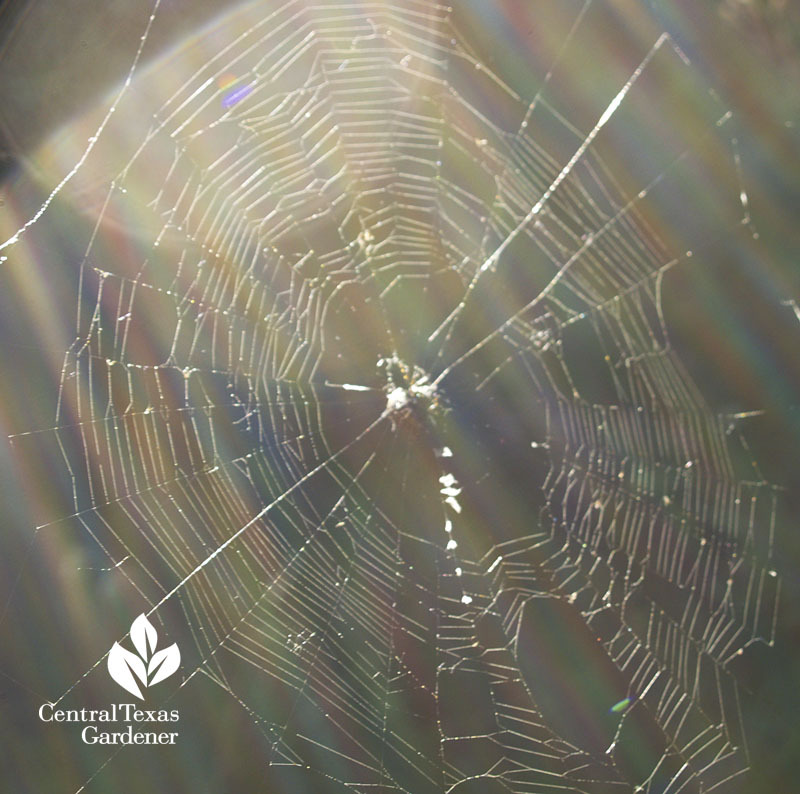 I’ve never been afraid of spiders since I read Charlotte’s Web as a kid. In fact, I veer around their intricate knitting so I don’t mess it up. Selfishly I hope the spiders mess it up themselves with a few leaf-footed bugs after my tomatoes! 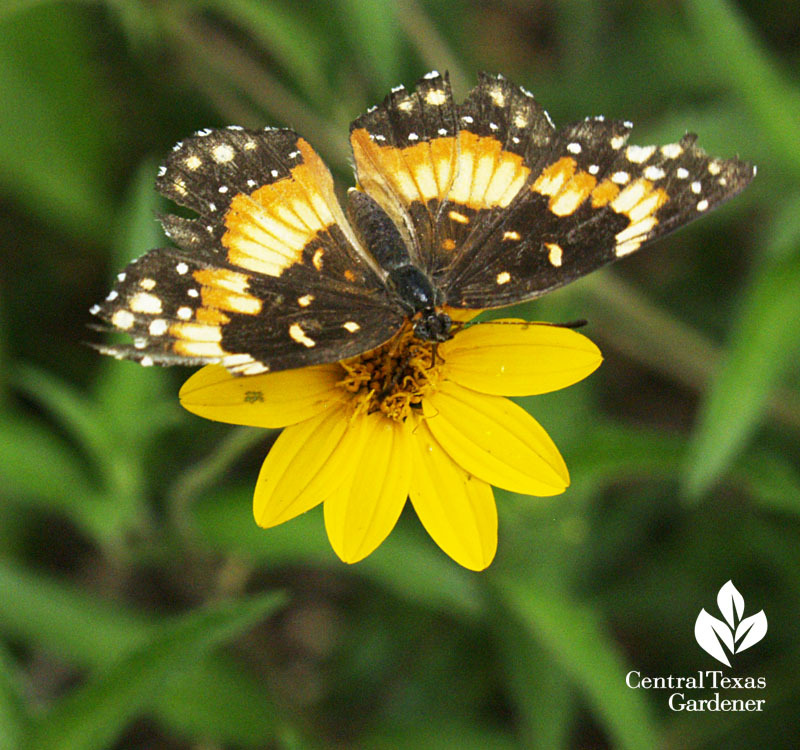 I’m not afraid to plant out-of-control plants, like Zexmenia (Wedelia texana), because they attract so many pollinators and are a larval host for Bordered Patch butterflies. As we head back into triple digit drought, the wildlife depend on us more than ever. Even though mine are a tad nuts in the curb bed, I’m controlling with a light hand, since small birds huddle in the density to munch seeds on bygone flowers. 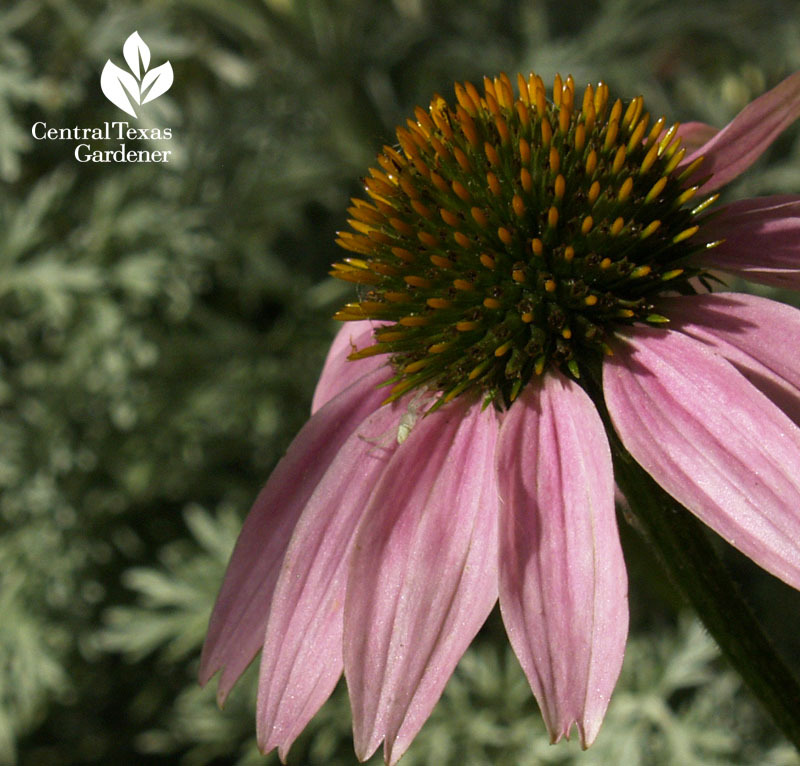 Ditto for coneflowers: butterflies, bees, and others enjoy the nectar. It’s so tempting to cut them back to tidy up, except when I see finches swaying on the stems to snag the seeds. Go a little wild with the kids, too! 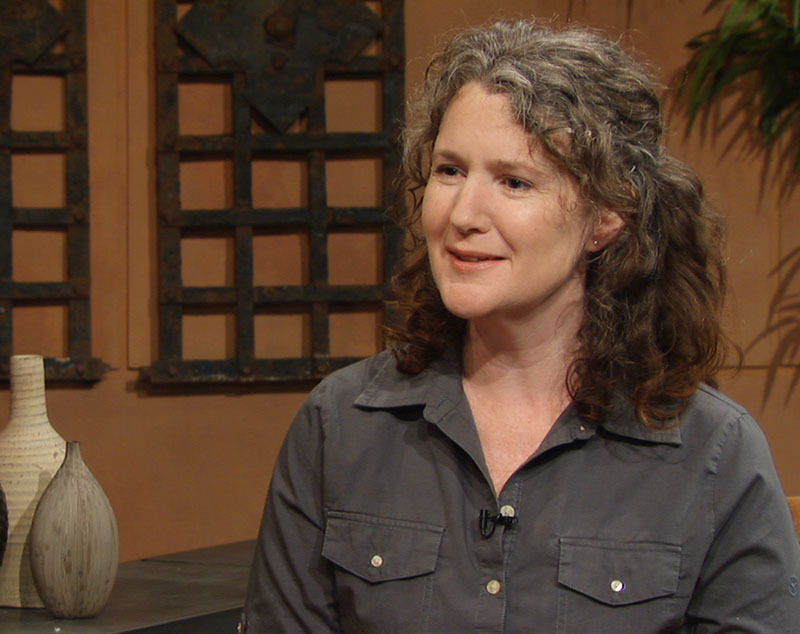 Master Naturalist and Great Stems blogger Meredith O’Reilly joins Tom this week with easy fun wildlife and outdoor projects for kids of all ages. 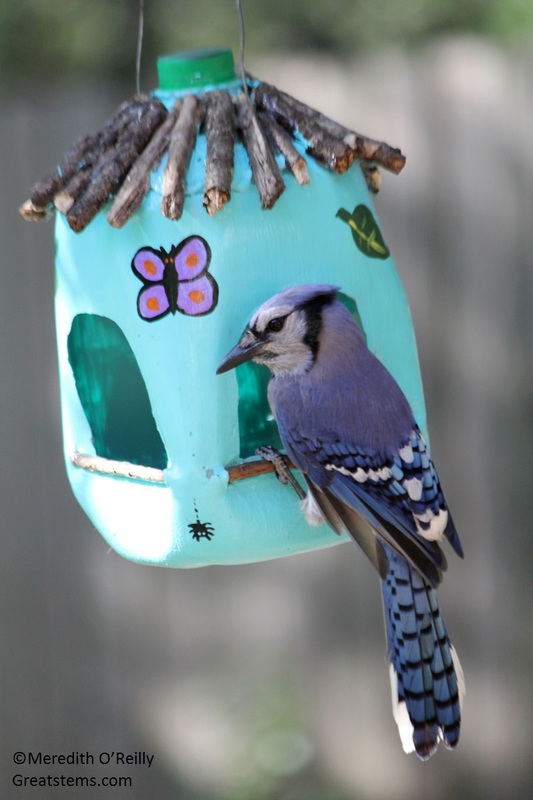 Keep the kids busy all afternoon turning milk jugs into bird feeders and houses, while connecting them to the concept of nurturing wildlife. Meredith shows how to make your own Mason bee house. 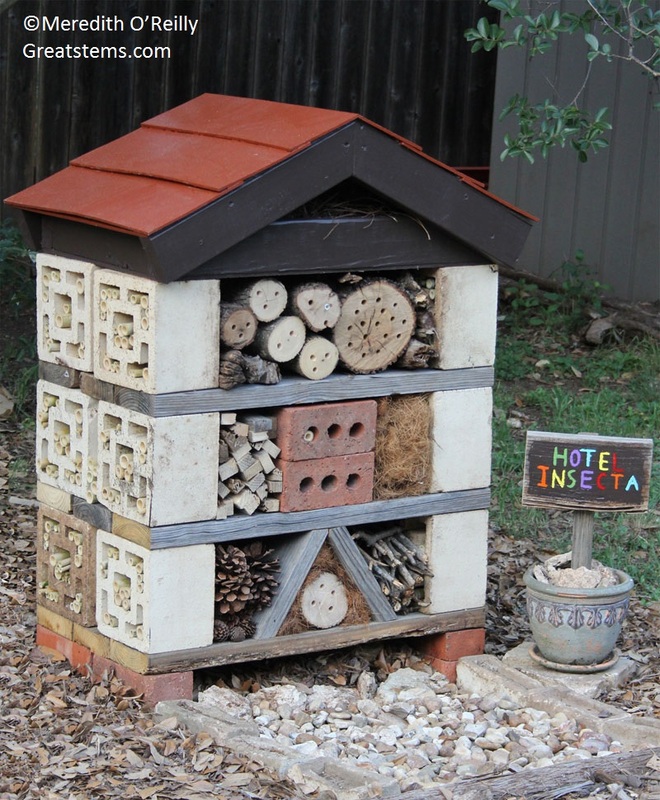 Or go for a full-service Insect Hotel! I plan to do this one, too. Hey, I said “kids” of all ages, didn’t I? 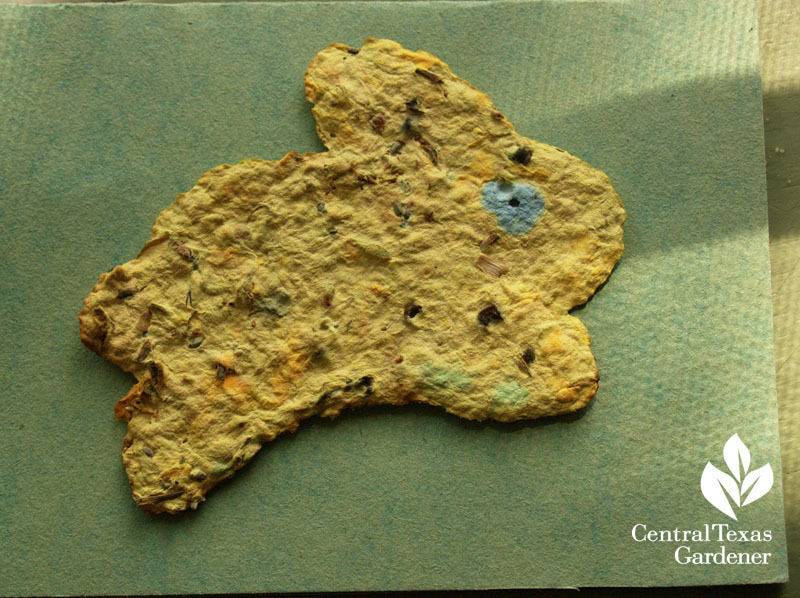 At Great Stems, her fabulous wildlife discovery blog, get Meredith’s detailed instructions for DIY wildlife projects for the whole family. Here’s one of the projects she brought and actually gave me! 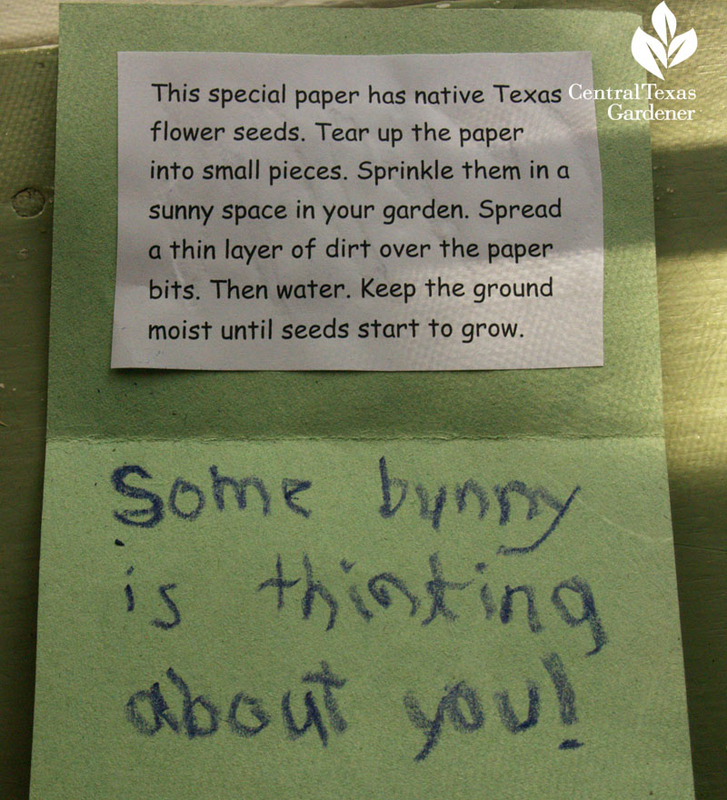 Forever, I will treasure the 8-year-old who made this wildflower seeds card to plant. I’ve never met her, but she’s changed my life forever. I’m not planting it—I’m framing it! Another “Aww” picture comes from Debra Shaw as Viewer Pic of the Week. 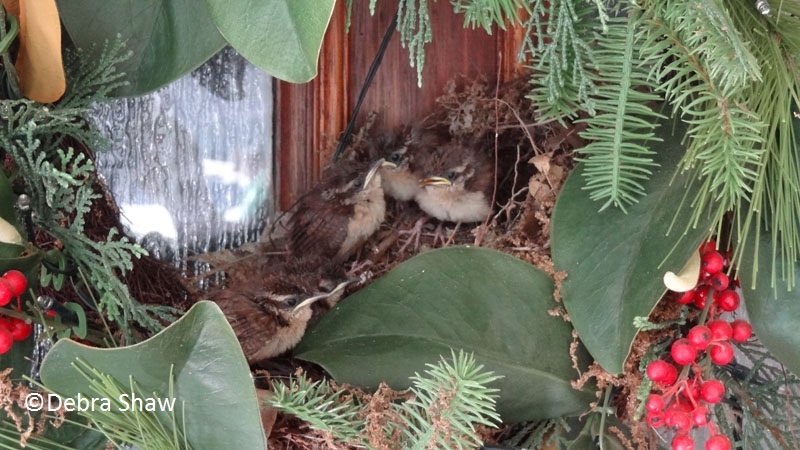 When a Carolina wren made her nest in the front door wreath, the Shaws were most careful about waking the babies. Now that the “kids” are gone, Debra’s going through empty nest syndrome. Probably not for long, since the Wren family likes the Shaw’s “insurance” coverage. 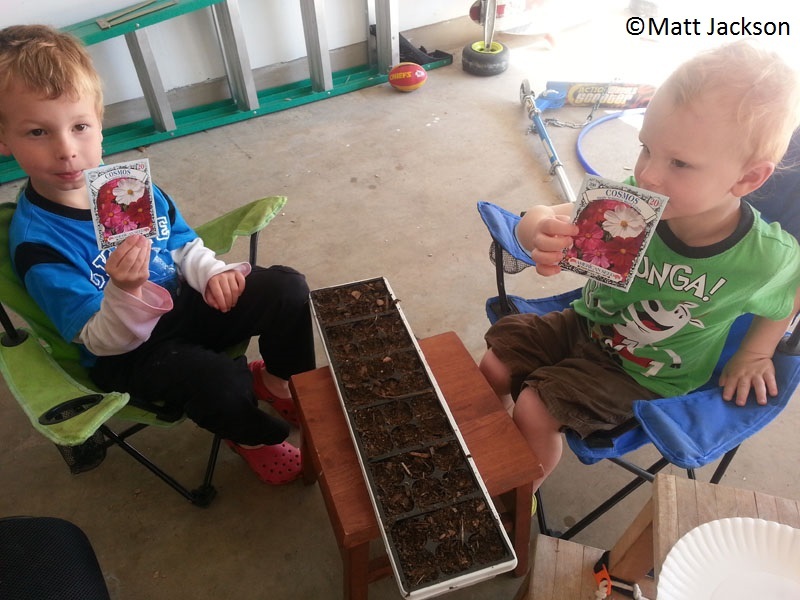 More cuteness from CTG’s friend Matt Jackson, getting some help this spring with his own little “nestlings.” Matt’s a “techie” who gives me lots of advice, but he and his wife also want their kids to be connected to the offline world in their ever-growing garden. 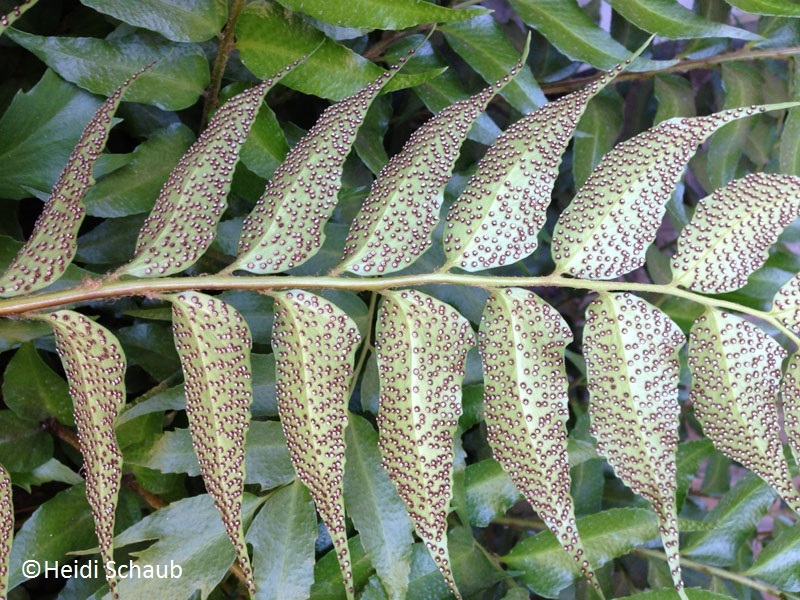 Here’s something fun the kids can spy on the undersides of ferns: spores. Thanks to Heidi Schaub for Daphne’s question this week. Get her answer on what those spores are doing. Kids also get a kick out of growing their own organic vegetables and popping them right into their mouths! 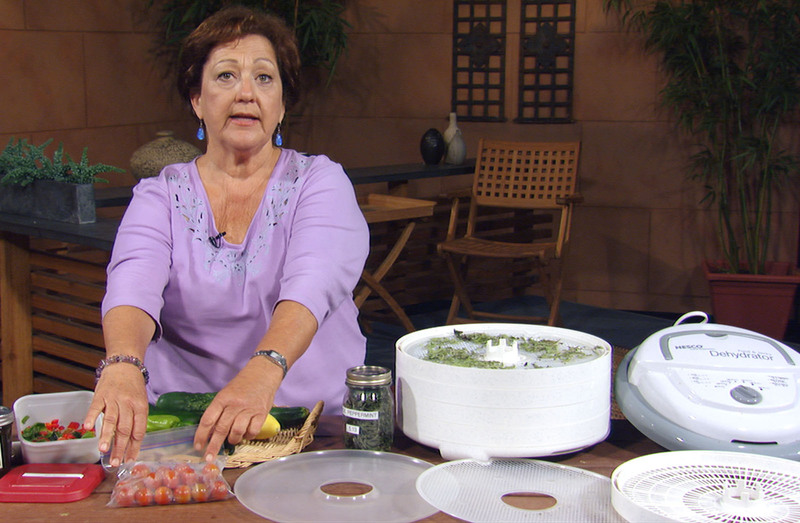 If you’ve got extras,Trisha shows how to freeze and dry food and herbs for healthy meals (or camping trips) all year long. Here’s a link to her tips. On tour, arts supporter Helen Roberts wanted a garden of discovery for children and local artists. 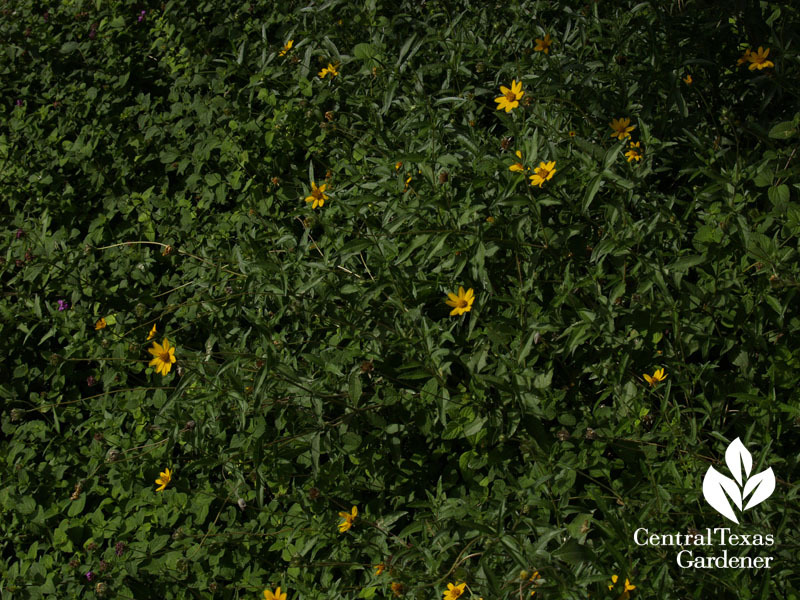 Touch o’ Green Landscapes designer Bridget Lane wrangled overwhelming invasives to paint just the right picture. Thanks for stopping by! Until next week, read Charlotte’s Web again! ← Garden fiesta and Viva Tequila!